For many parents, planning holidays and vacations is among the most challenging aspects of parenting after a divorce. In an ideal scenario, divorcing parents will create a comprehensive parenting plan during the divorce process, and this plan will provide clear guidance for how to handle trips during spring and summer breaks. 1. Who Gets the Kids During Spring Break? A well-prepared parenting plan should provide clear guidance as to which parent gets the kids during spring break. There are a few different, common approaches; and, if you are currently divorced, you should review your parenting plan to see what it says. If you are contemplating a divorce, you should think about your desires and what your spouse is likely to want as well. 2. Can You Take a Trip Outside of California? Oftentimes, parenting plans will include special provisions for out-of-state vacations. If you are thinking about planning a trip with your kids outside of California, you should make sure you have a clear understanding of your rights and obligations. Depending upon the terms of your parenting plan, you may simply have an obligation to notify your former spouse of your plans, or you may need to work with your former spouse to select a mutually-agreeable destination. 3. Can You Take a Trip Out of the Country? Similar considerations apply to taking a trip out of the country. What does your parenting plan say? Of course, once you overcome any hurdles related to the terms of your divorce, you will need to make sure you obtain all necessary travel documents as well. 4. Do Special Rules Apply During Spring Break? If your parenting plan addresses issues such as curfew, cell phone use, and television time, will the standard rules apply during your spring break trip? If your parenting plan does not specifically address how to handle these issues during spring break, it may be in everyone’s best interests for you to discuss any potential deviations with your former spouse. Can your children’s friends come with you? Do you want your kids’ friends to come, or are you hoping to spend as much time bonding with your children as possible? Once again, your parenting plan should provide guidance as far as the options that are available, and then You can make final decisions consistent with the terms of your plan. 6. Do You Need to Discuss Your Specific Vacation Plans with Your Former Spouse? What if you want to introduce your children to something new, such as rock climbing or swimming with dolphins, and what if your former spouse is not as comfortable with these prospects as you are? Even if you do not necessarily need to discuss your plans with your former spouse under the terms of your parenting plan, doing so may help prevent unnecessary hostilities. 7. When Will Your Children Talk to Your Former Spouse? Finally, when taking a trip with your children after a divorce, it may also be necessary or advisable to establish specific times for your children to talk with their other parent. In many cases, this can help assuage concerns over long-distance travel, and it can help ensure that you will have similar opportunities to talk to your children next time they take a trip with your former spouse. 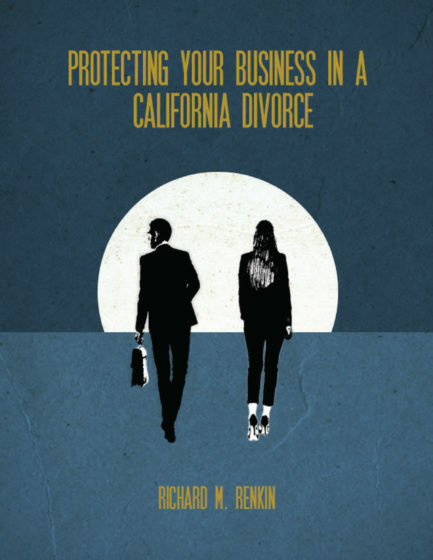 Richard M. Renkin is a North County, San Diego divorce attorney and Certified Family Law Specialist. If you would like more information about vacation planning during or after a divorce in California, we encourage you to call 888-837-3564 or inquire online for a confidential initial consultation.